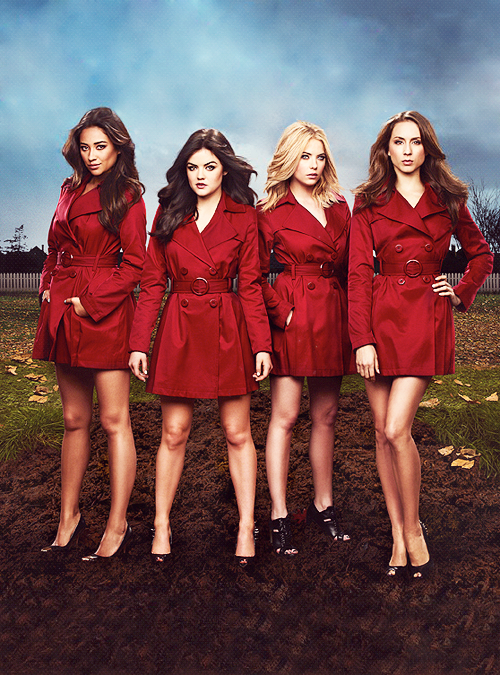 cast. . Wallpaper and background images in the Pretty Little Liars TV دکھائیں club tagged: pretty little liars. 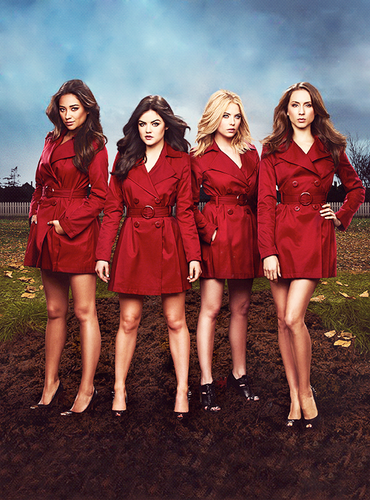 This Pretty Little Liars TV دکھائیں fan art might contain overgarment, بیرونی چادر, اوورگآرمانٹ, باکس کوٹ, and خانہ کوٹ.